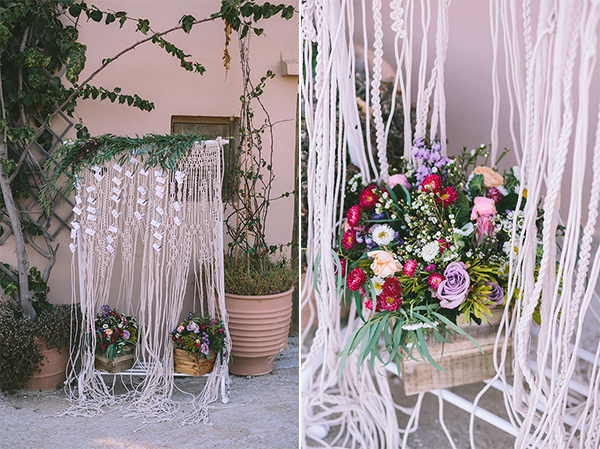 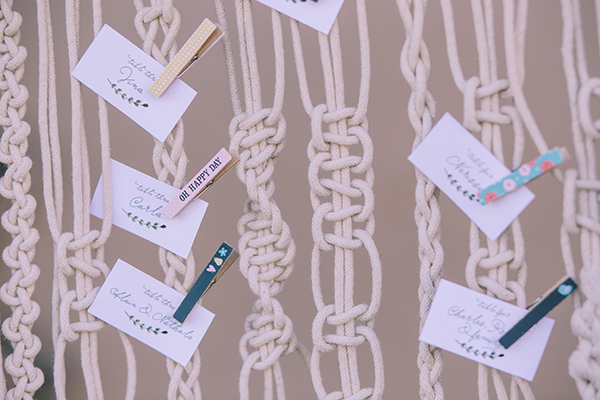 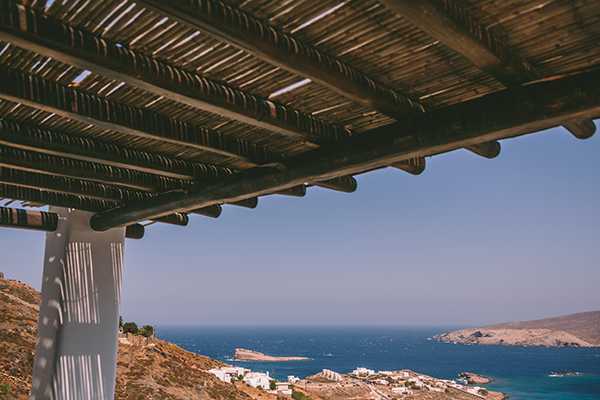 With beautiful boho chic details, gorgeous wildflowers and macramé, this wedding in Mykonos is a dream come true! 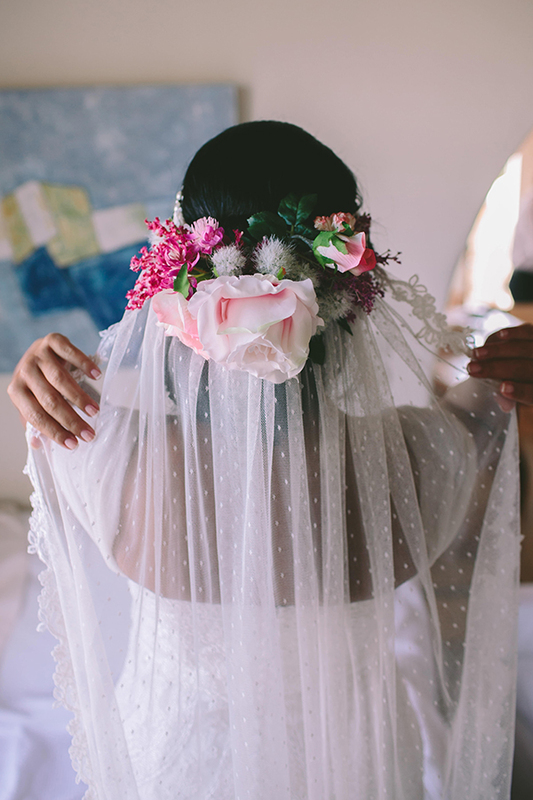 We loved the unique flower crown station at the wedding reception and absolutely adored the bride’s boho chic headpiece with oversized flowers! 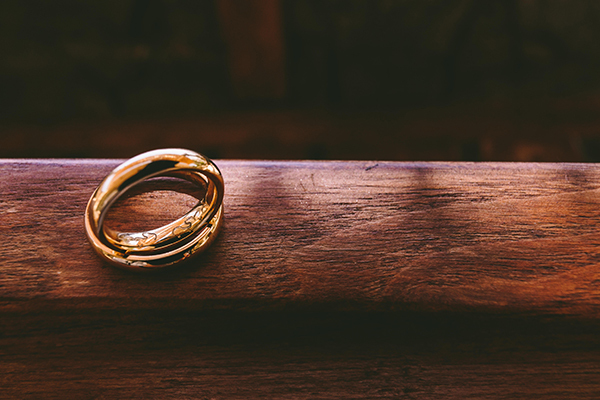 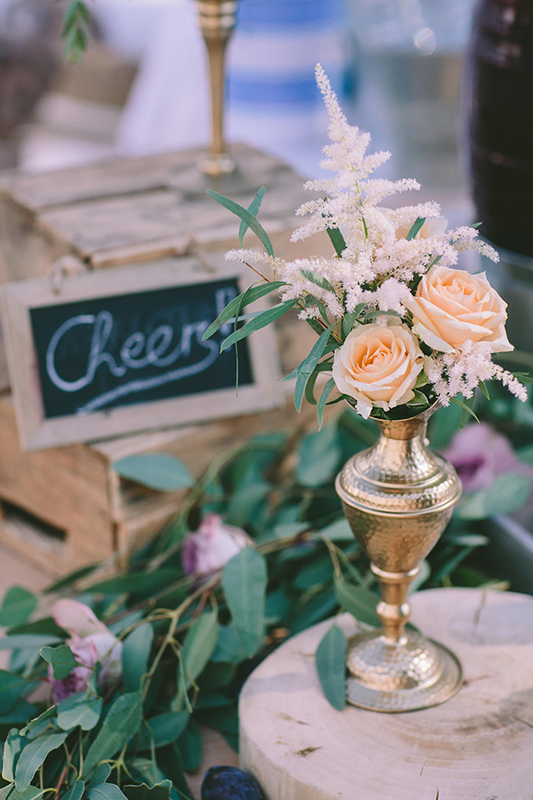 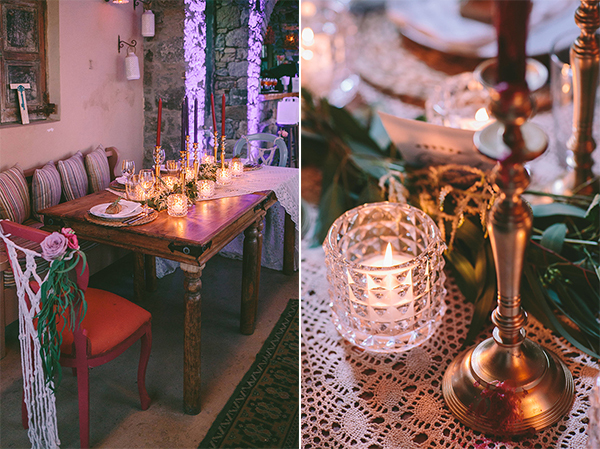 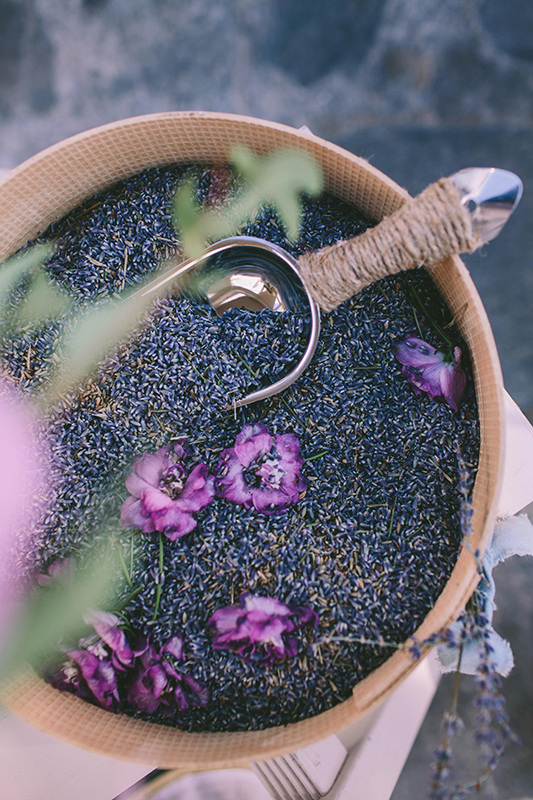 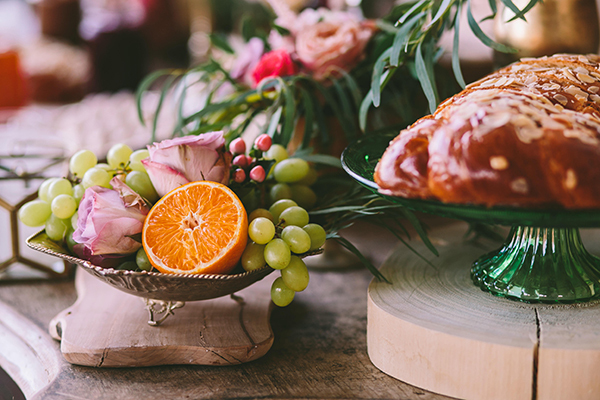 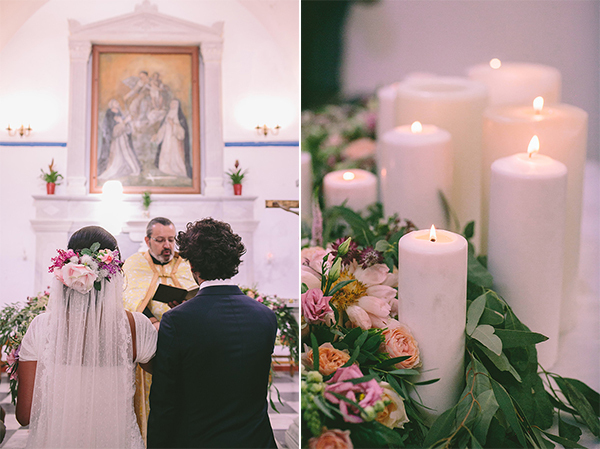 “I met my husband during a classic set up date and Tony proposed at our future home… The house was filled with candles and rose petals…”, the bride shared with us. 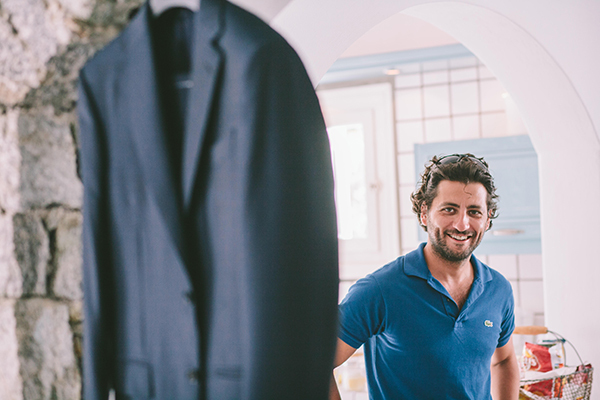 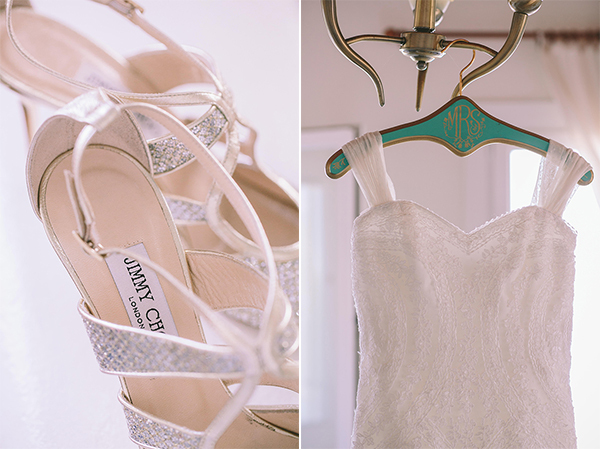 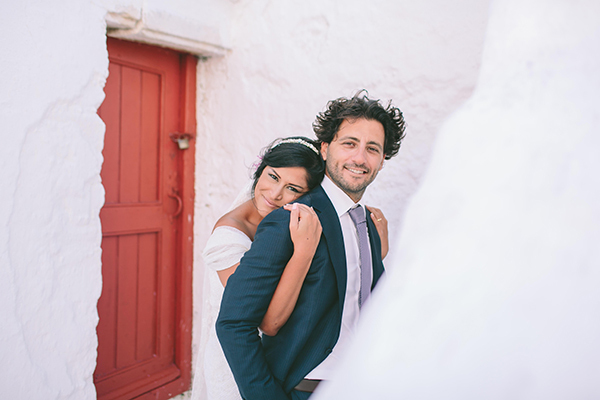 “My wedding dress was exactly what I was looking for, simple, chic and flattering. 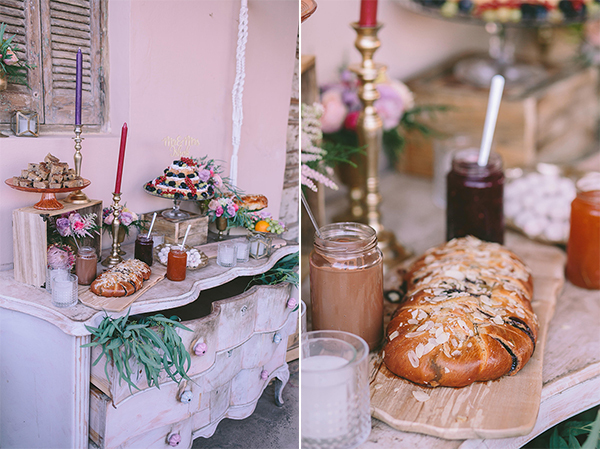 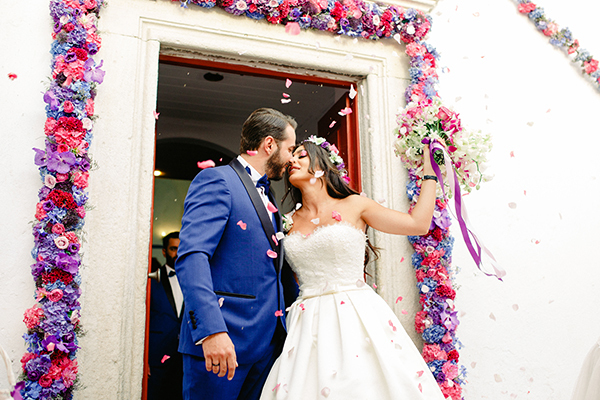 The train was custom made and decorated with wild flowers to reflect the bohemian theme of the wedding”. 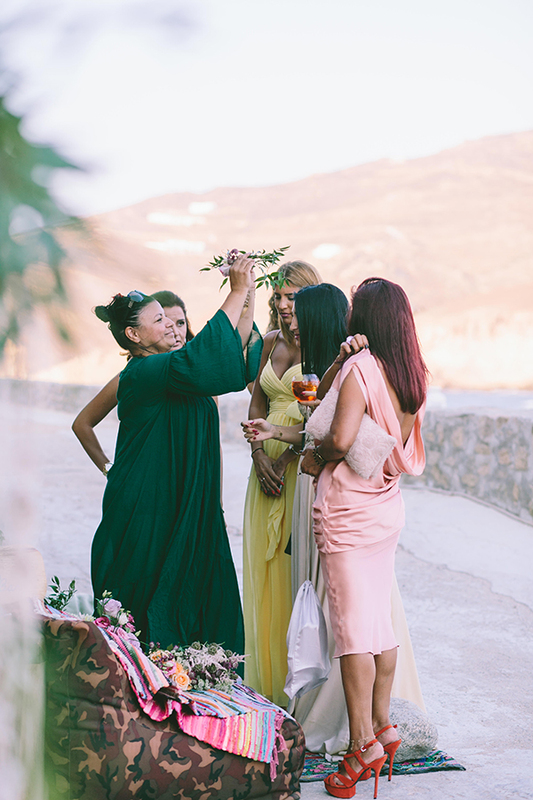 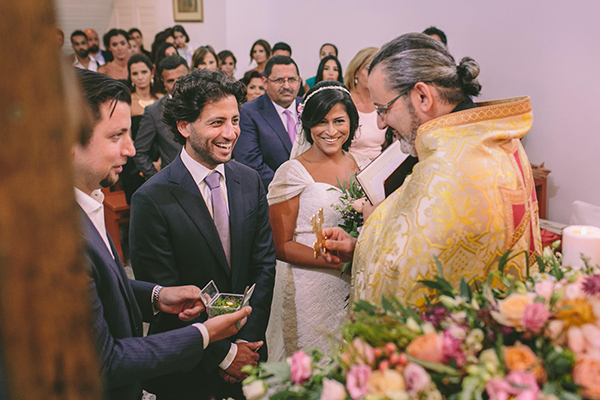 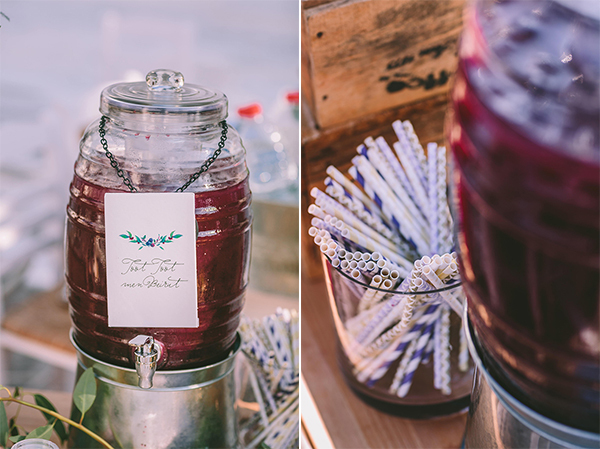 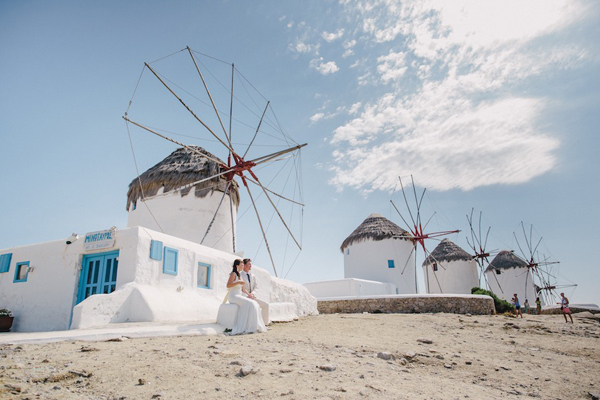 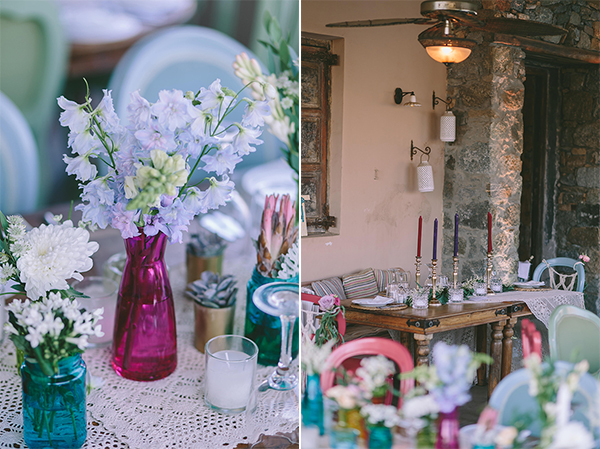 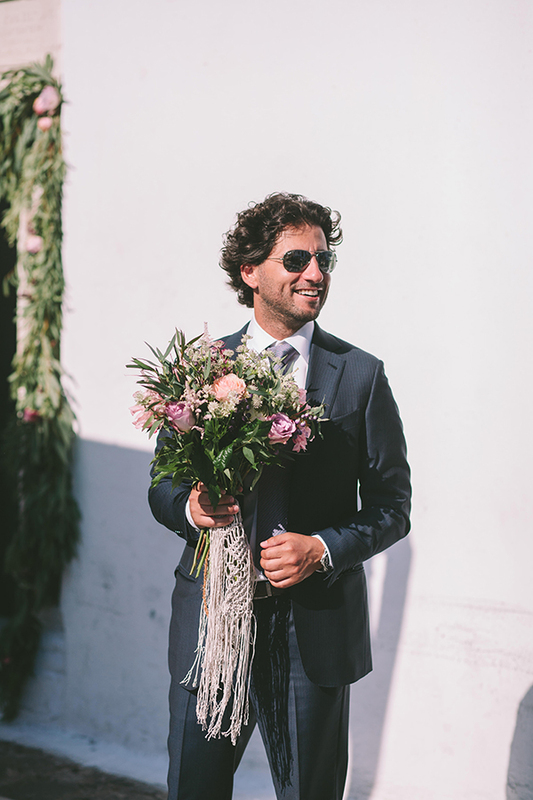 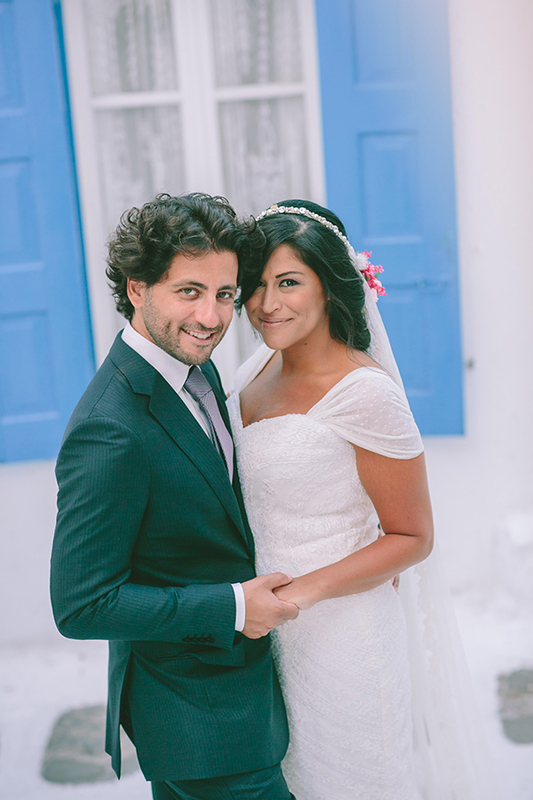 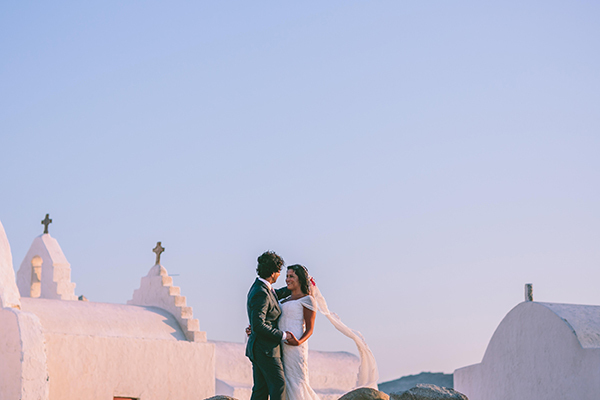 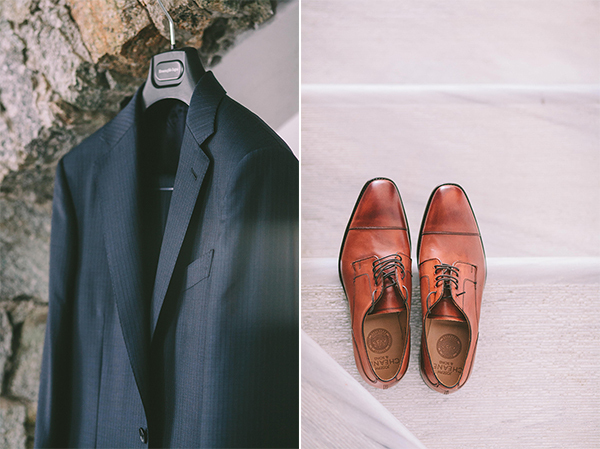 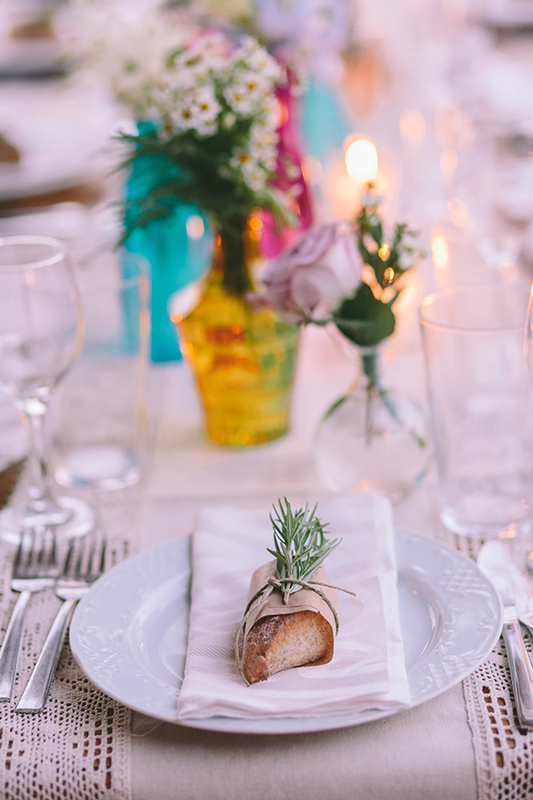 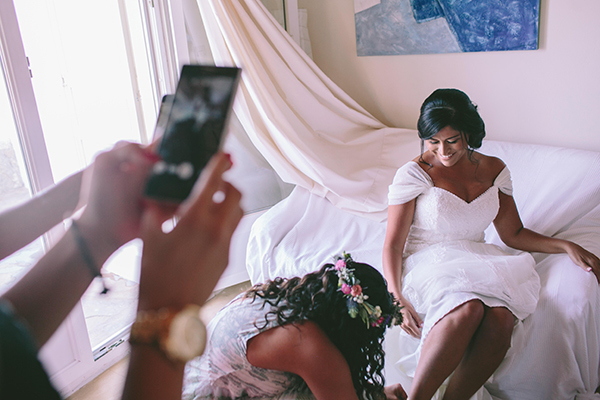 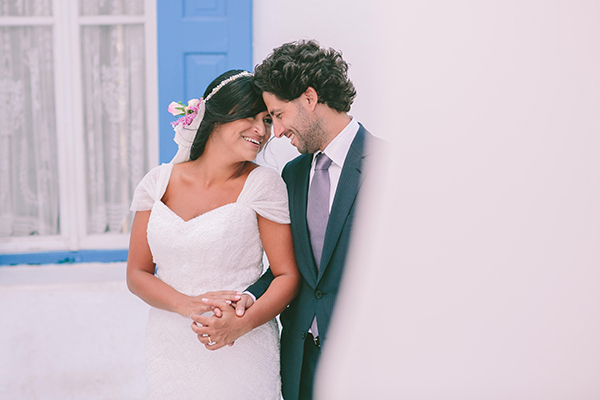 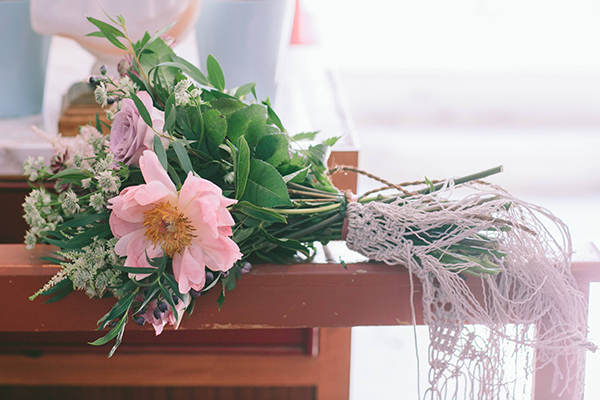 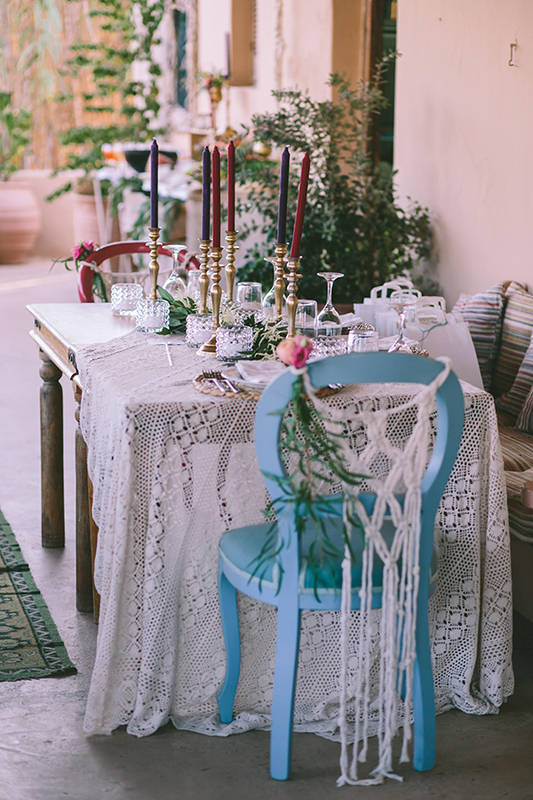 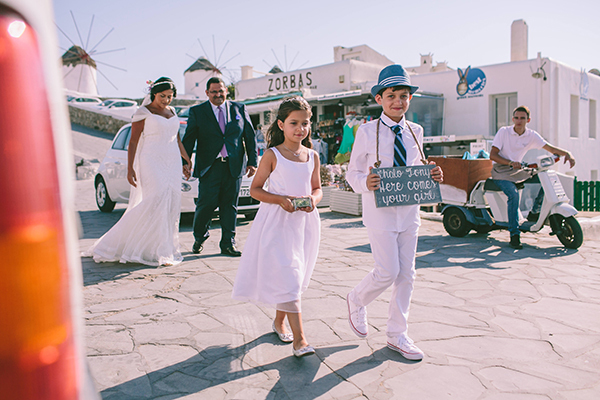 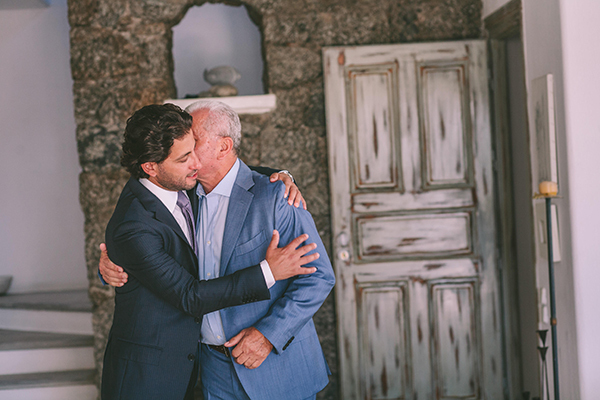 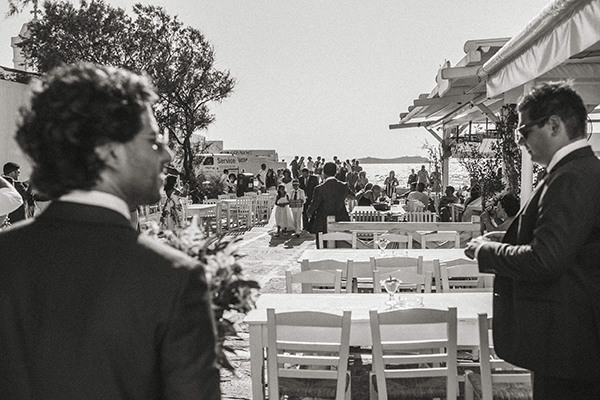 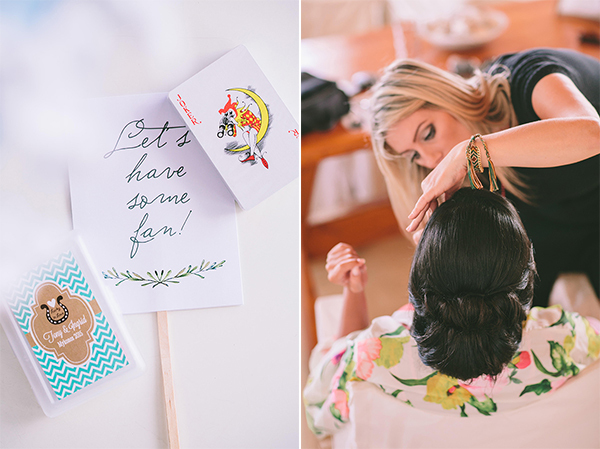 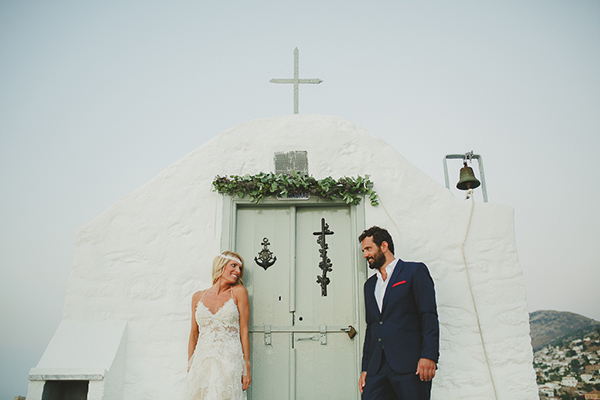 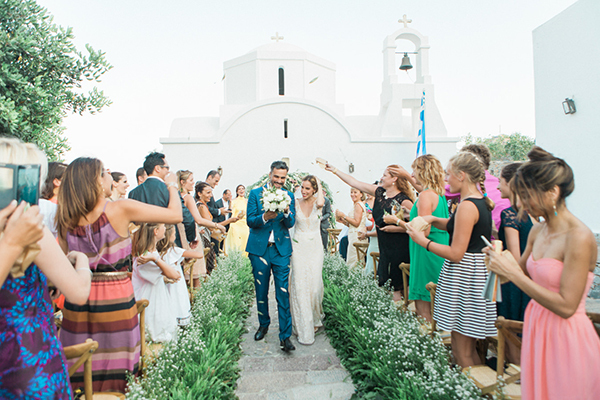 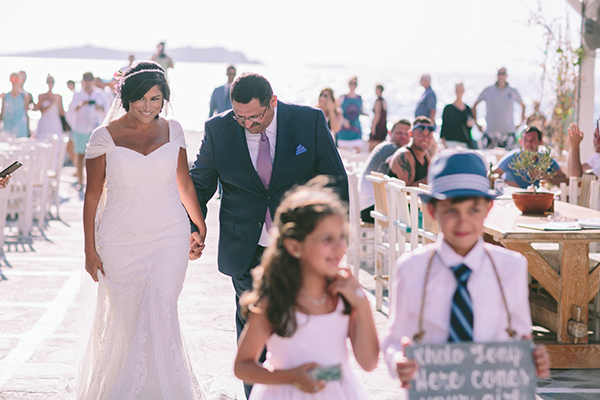 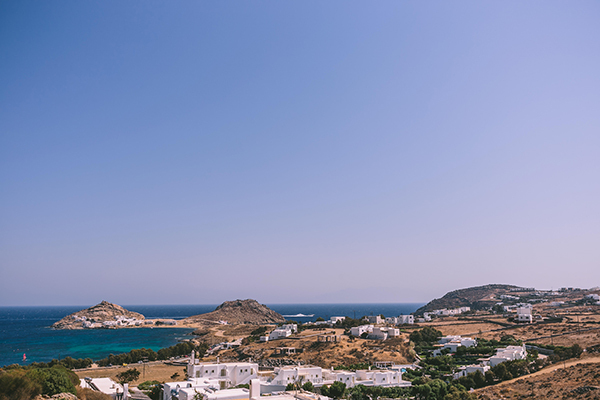 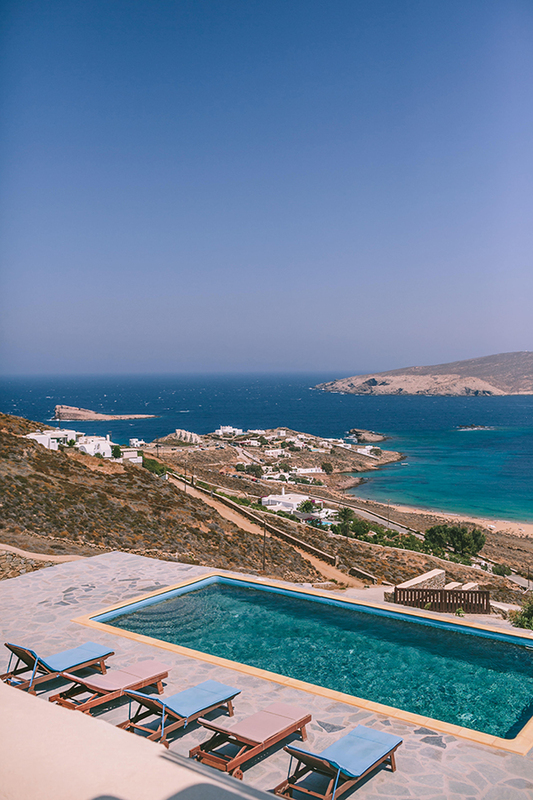 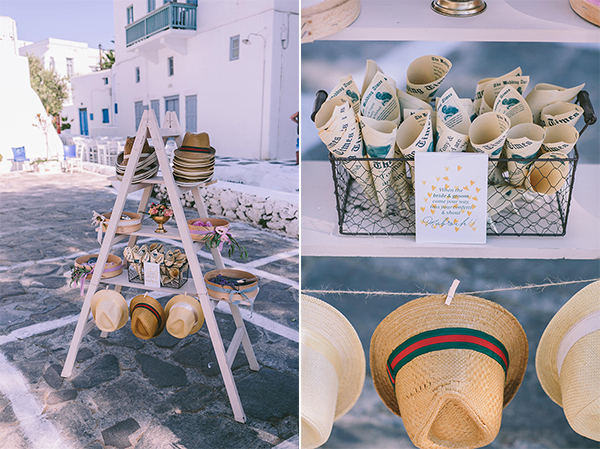 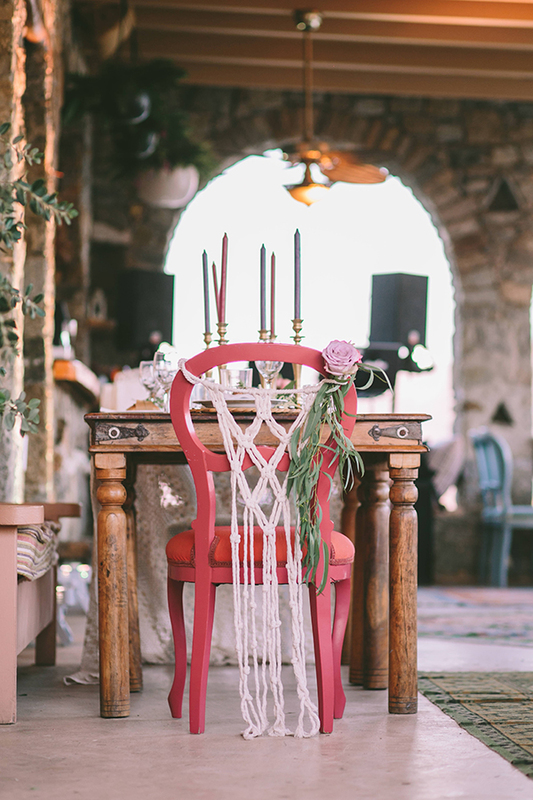 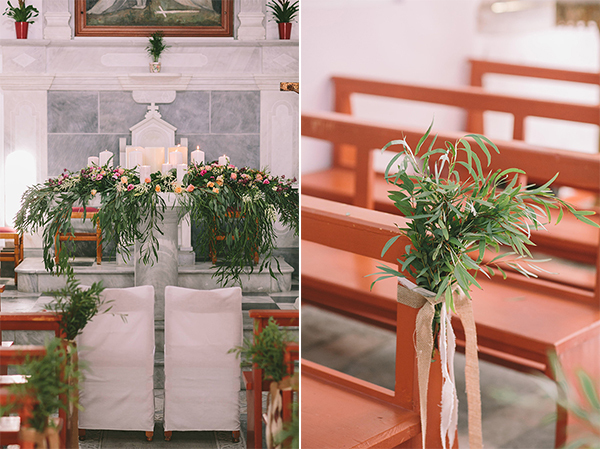 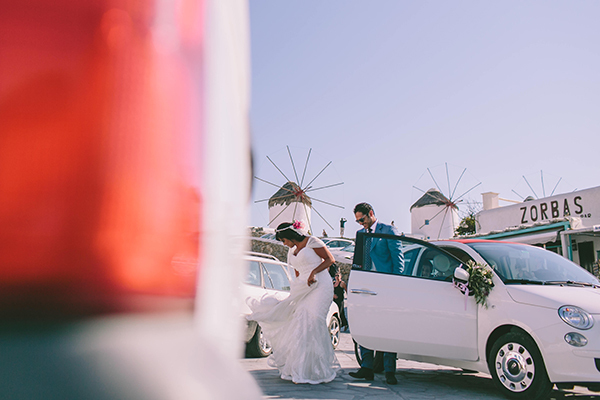 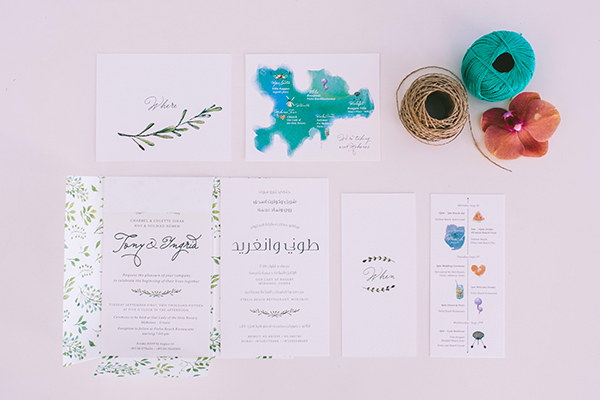 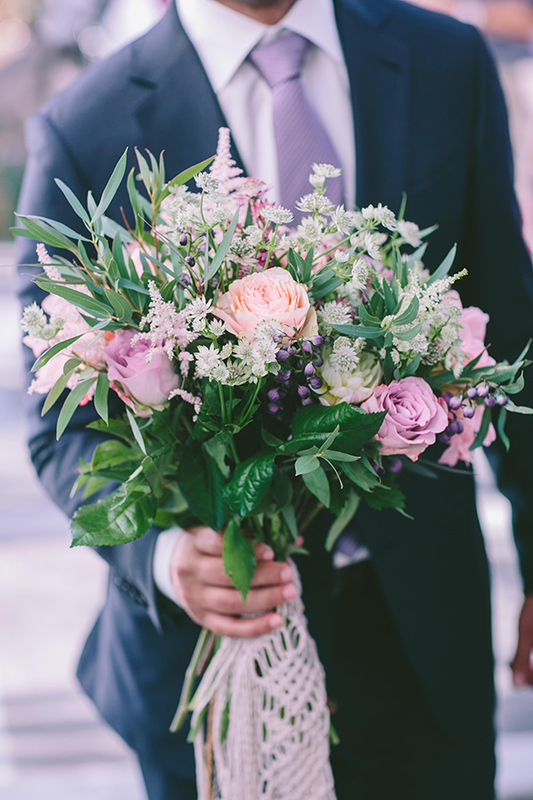 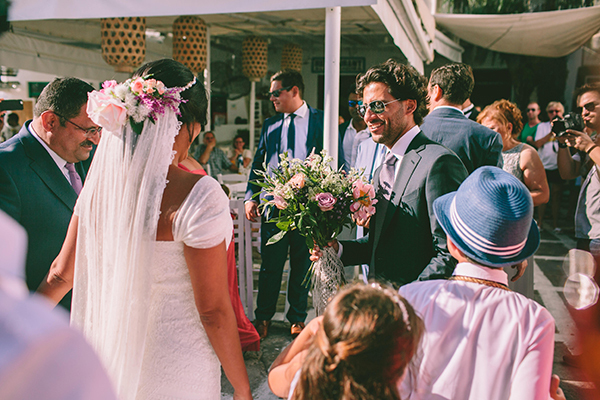 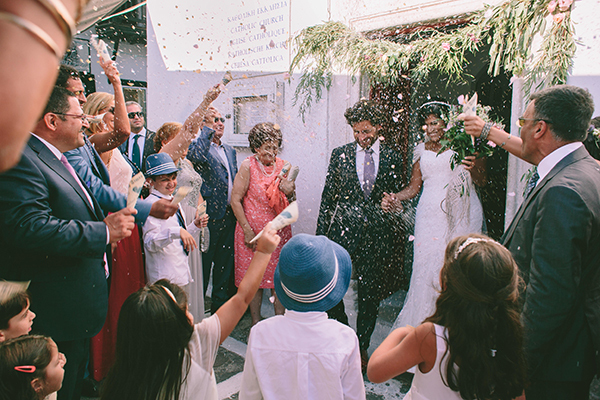 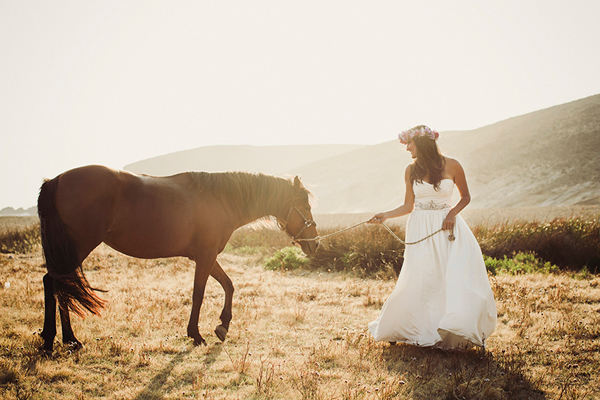 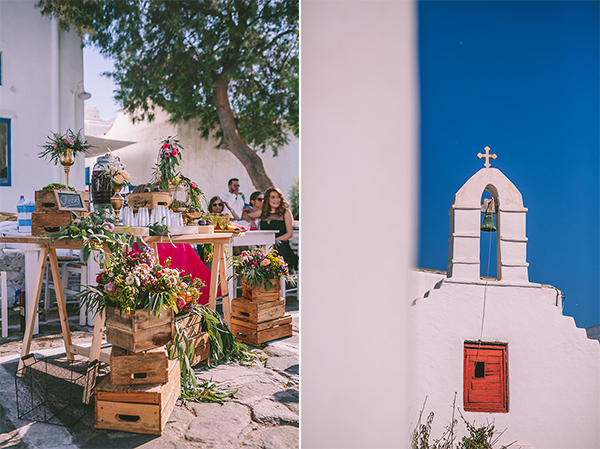 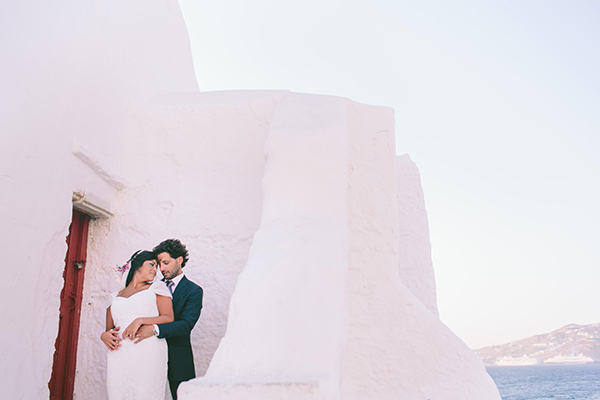 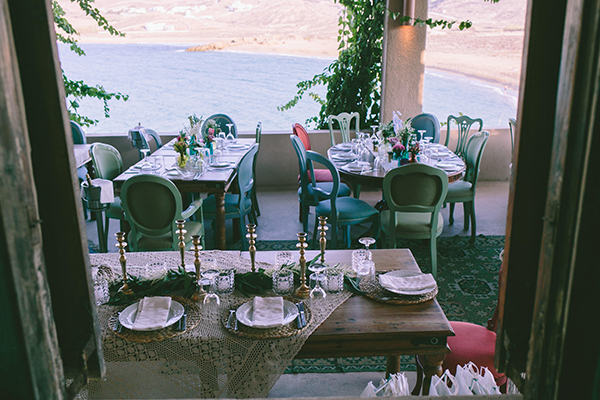 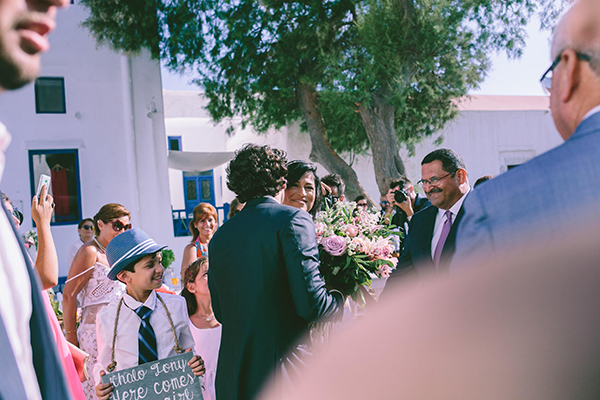 “Our wedding in Mykonos, had a boho-chic concept, with a mix of different flowers. 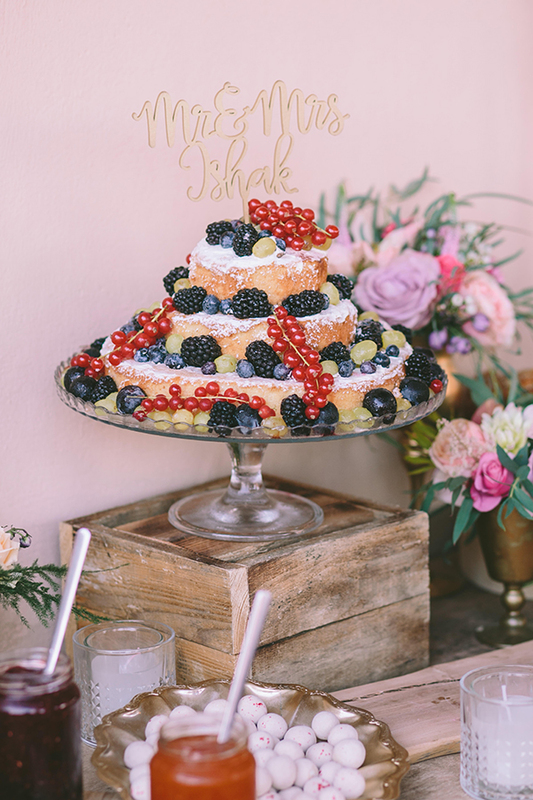 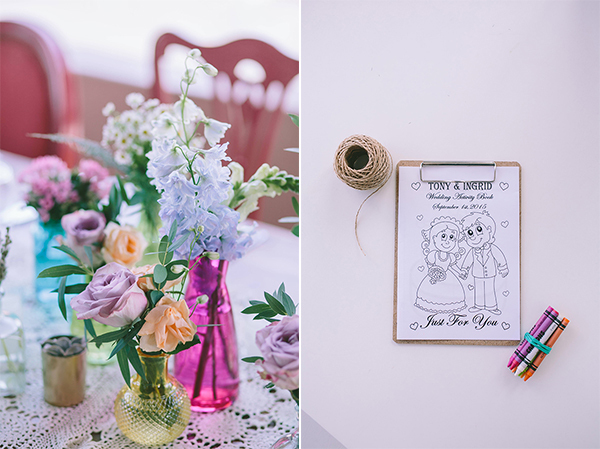 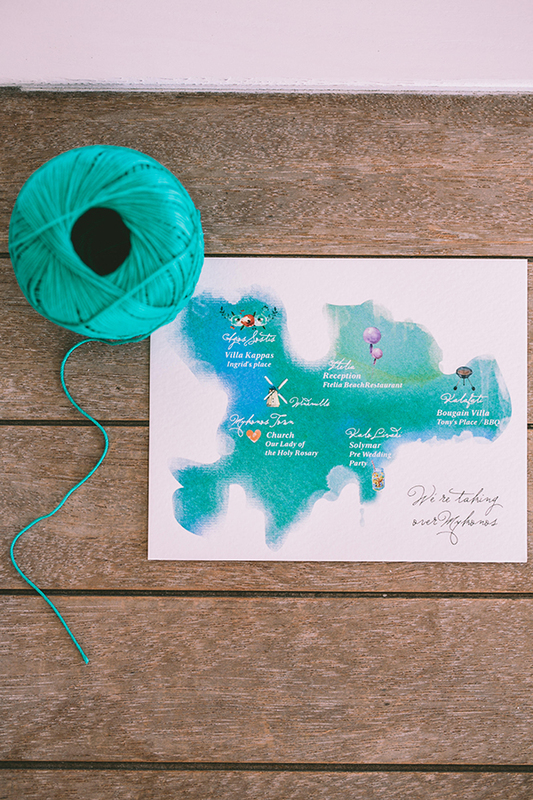 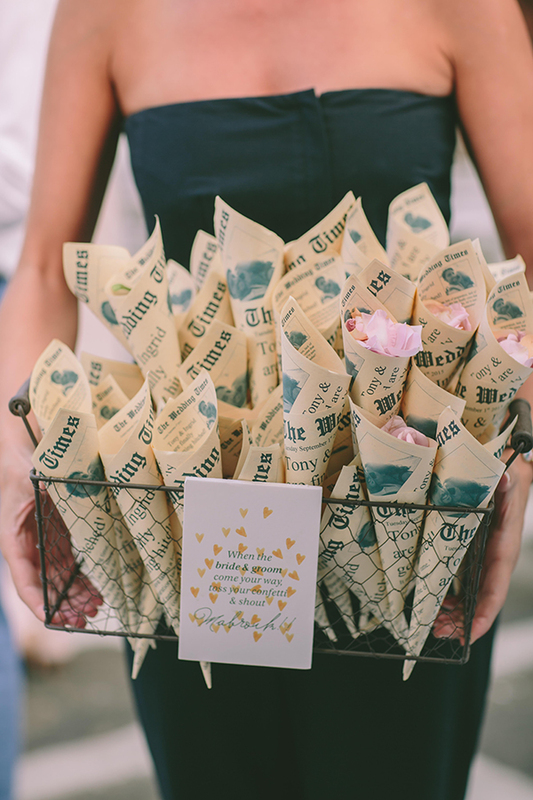 I found inspiration and ideas while planning our wedding from Chic and Stylish Weddings, as well as Pinterest and my very creative wedding planner at Rock Paper Scissors”. 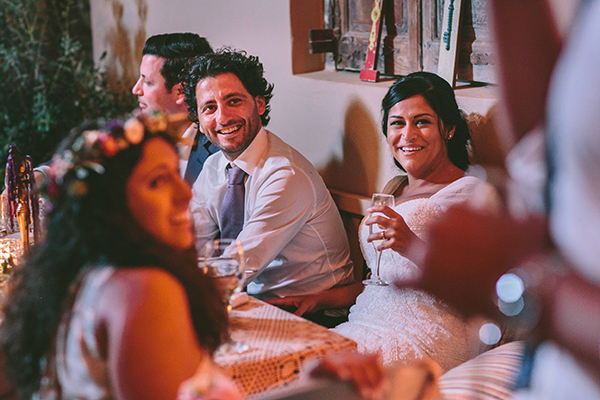 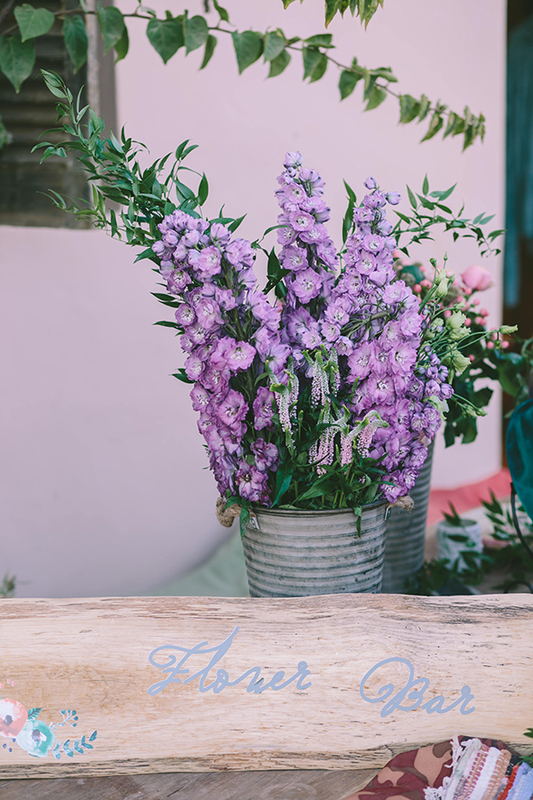 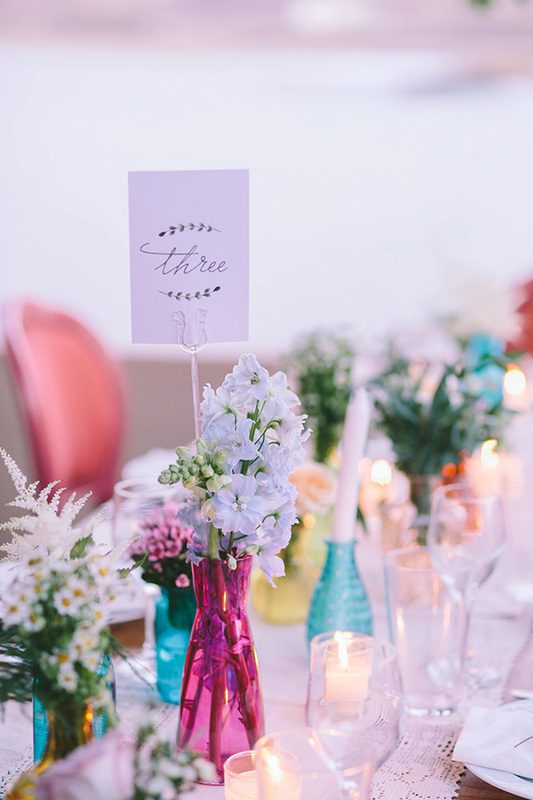 “My advice to the brides who are planning their weddings now is to enjoy every single minute of it, it passes so quickly”.